Tires are expensive. They are an investment, and paying for high-quality tires for your vehicle is always a good idea – however, there is no denying that when it comes time to make that investment, everyone cringes. There are some things you can do, however, to space out the time between needing to buy new tires. You can do this by taking these steps to maintain the quality of your tires for as long as you can. 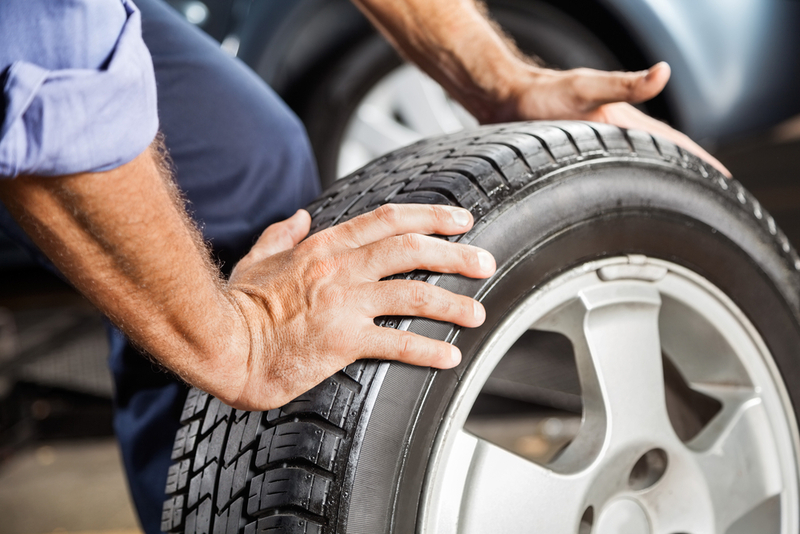 The easiest way to increase the lifespan of your tires is to regularly check the air pressure and make sure it is correct for your vehicle as part of your regular vehicle maintenance. The wrong air pressure can increase the wear and tear on your tires when you stop, which increases the risk of blowing out a tire. This is especially important around seasonal changes – in the winter, as the weather cools, it can lower the air pressure in your tires. As well in the summer, the pressure in your tires increases as the heat does. Tire rotation should also be part of your regular vehicle maintenance. The tires in your car should be rotated every 5,000 kilometres. In any car, even with all-wheel drive, there will always be some uneven wear on the tires from the way that the weight in the vehicle shifts. In front-wheel-drive cars, naturally, the front wheels will wear down much more quickly than the back (and the reverse for rear-wheel drive). By rotating your tires, you will allow the wear on the tires to be distributed more evenly. At the same time as your tire rotation, you should also look into having your wheels balanced as well. All wheels of a car will have a heavy spot, even brand new tires. The difference may be so small you think it might not matter, but uneven weight balance can mean uneven wear on the tire. Using small weights and machine which specializes in balancing the wheels, a service technician can ensure the car is evenly balanced. As the wheels are worn down, that weight may shift, and then you will need to re-balance the tires. You should also check the alignment of tires at this time. Misaligned tires can cause the car to pull or drift to the right or left, or cause the steering wheel to vibrate or shake as you drive. This can be dangerous to your driving. You may also have misaligned tires and not see any of these issues – however, you will still see a decline in fuel efficiency and an increase in the wear on your tires. Every six months you should have a service technician check the alignment of your tires. By following these steps of vehicle maintenance you should be able to extend the lifespan of your tires. If you need to have a Honda Certified Service Technician check your tires, contact our team today to book an appointment.